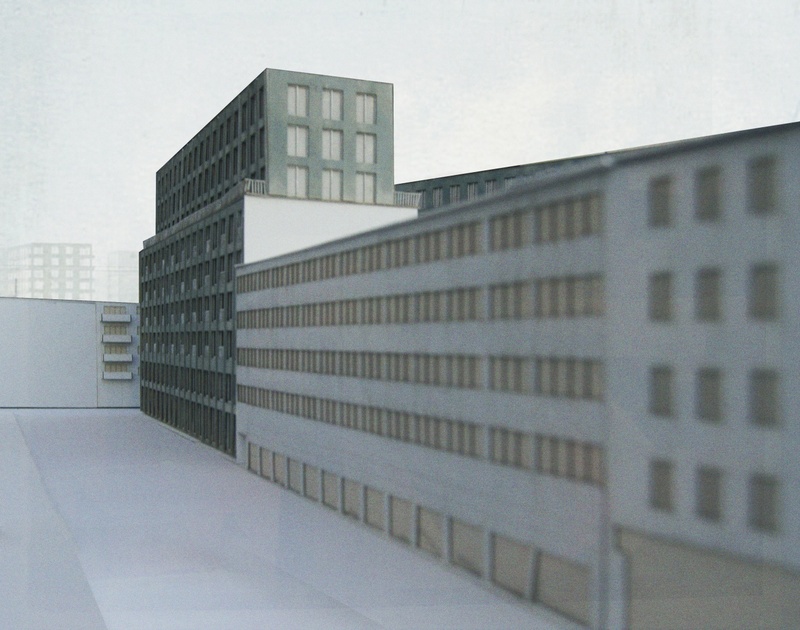 Site is located between Badener and Hohlstrasse close to Zurich Altstetten Banhof. 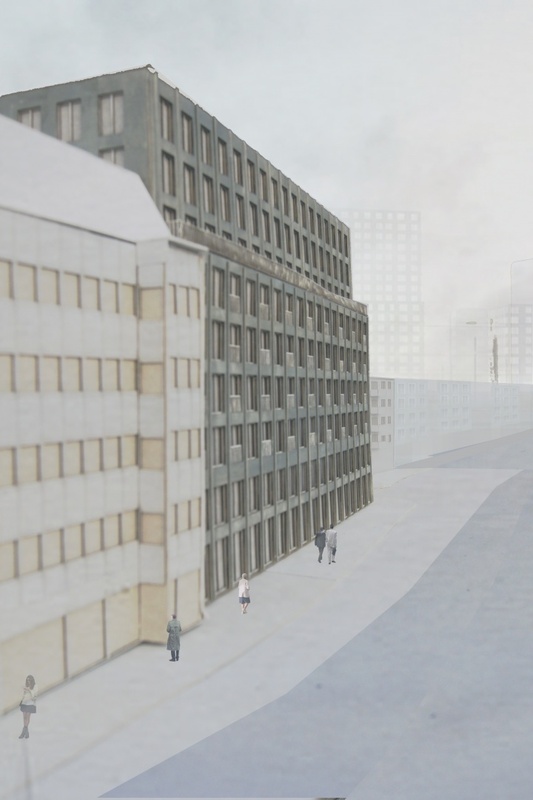 Each corner of the site is linked to well-functioning city transport, which is one of the arguments that make the site important place for future development. 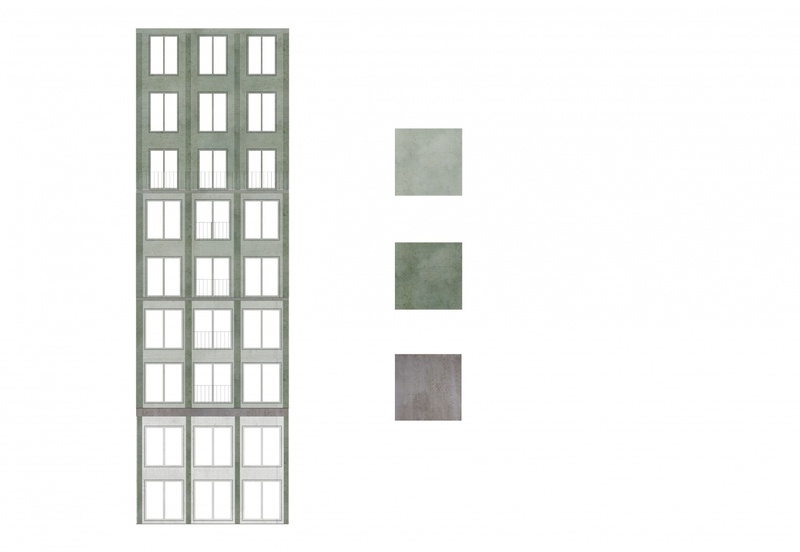 Existing urban tissue is quite fragmented and consist of different types of buildings with considerably low density. Protected part in the middle which is already attractive green open space lacking the accessibility, I would implement landscape project where additional paths and meticulous tree plantation would make the whole area benefit from it and make it green heart of the neighborhood. 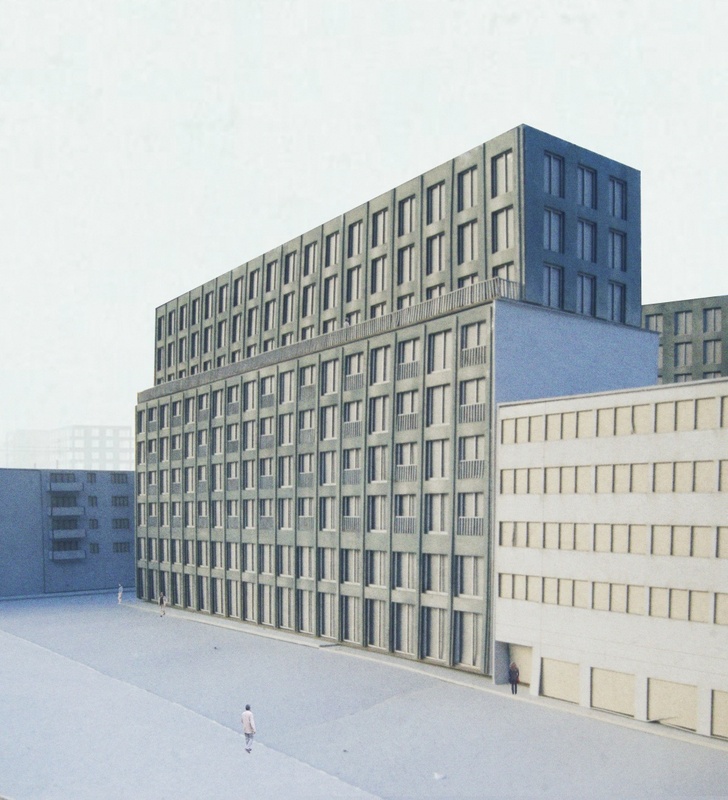 Some spots on the site are already well working urban spaces (Linden Platz, Herrlig Schule) while others are disorganized areas where buildings from 50s and 60s were build quickly without obvious arrangement. Very strong is contrast between these buildings and newly constructed office buildings on the other side of Hohlstrasse. My goal was to organize the site and make it more urban, consequently I decided to demolish a lot of buildings from the site and replace it with new constructions making more coherent space. Finally, after demolition I decided to create six courtyard urban blocks consisting of old and new buildings on the east part of the site. 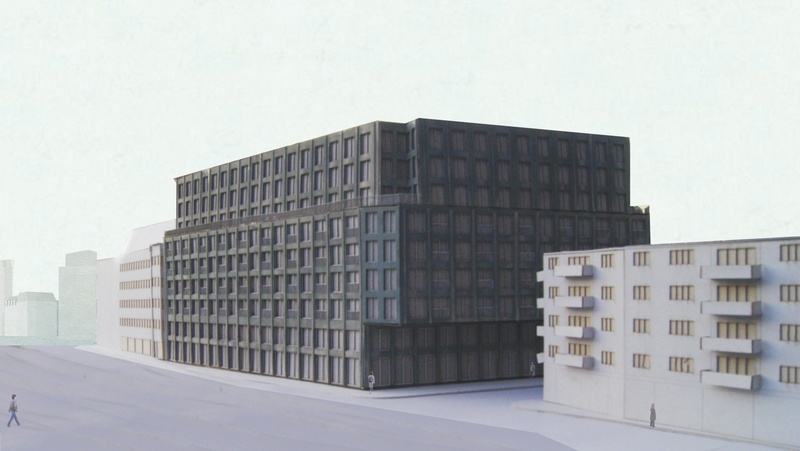 Methodology of densification was to work on the whole site and provide reasonable public/ housing/mixed use balance. 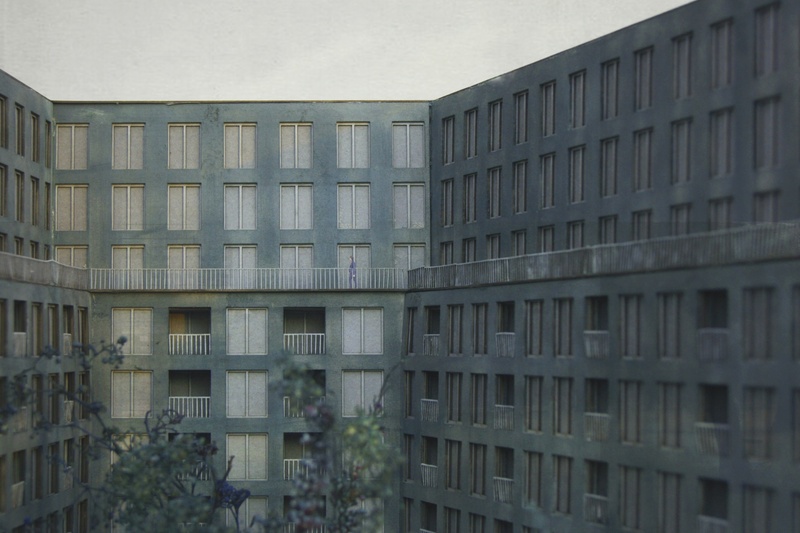 Clearing out some places completely to give more air to the sites around while giving the square meters back in other buildings The site becomes assemblage of different typologies, collection of diverse spaces, apartment types. Harmony of old and new, spatial unity. To make project more realistic due to big amount of construction is divided into phases, where first would be constructed buildings towards main streets and later in few stages buildings in the middle of the site. 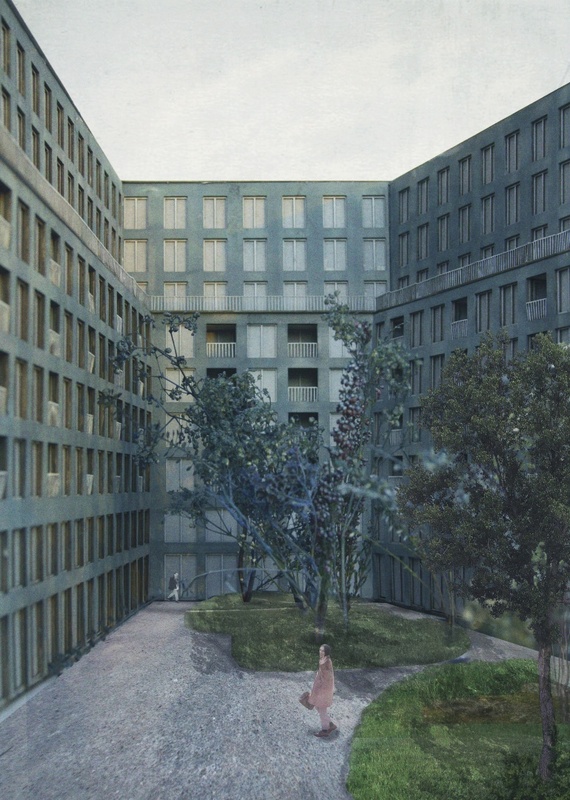 On the site plan we can notice that the site becomes more organized, with urban streets and attractive green spaces. Zoom in to the part of the site, some of the blocks are broken and allow entrance to the courtyard from the street while others are continuous and courtyard space is more private. I decided to focus on one the buildings which would enclose the block. Groundfloor would become mix-used space with entrances to apartments which are placed on the higher floors, first floor is an office space. While all the higher floors become large variety of apartments type and size. Offset volume creates vast terrace space for on of the floors (section). Cut out corner of the building, on the lower floor entrance from the staircase to 4 flats, on the higher floor -2. Courtyard without long elements present on the frontal facade makes the building seem more friendly and welcoming, while it keeps colder appearance on the outside. 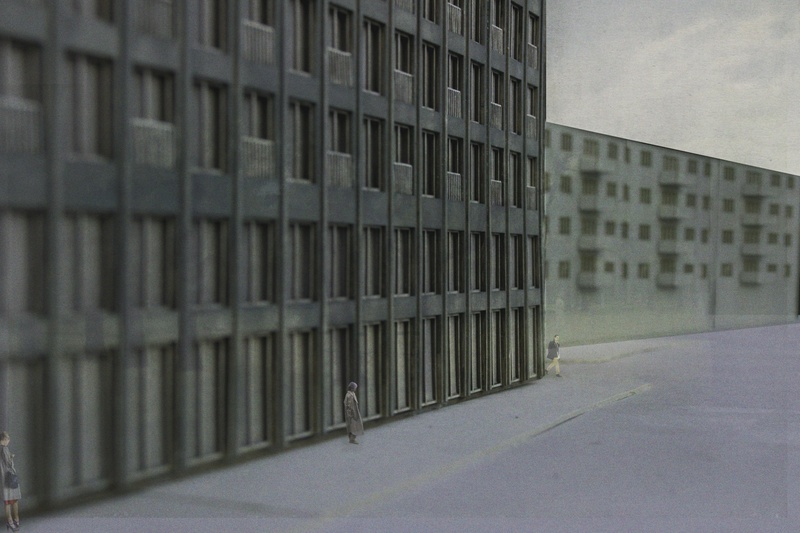 Project is an urban study of Herrling district in Altstetten. The goal was to organize the site and make it more urban, demolish some of the buildings from the site and replacing it with new constructions creating more coherent space. Methodology of densification was provide reasonable public/ housing/mixed use balance.